← Why PDFPrint Command Line is slow printing on Windows 10 system? hello, I try to put the license I get in the command line, but I have an error, can you tell me where I have to put it? "C:\Program Files (x86)\VeryPDF PDF Stitch v2.1\pdfstitch.exe" -pr %Pleft%,%Pright% -gx 0 mm -gy 0 mm -l 1 mm -scale 100 "C:\Programme\Welp\Pdfcombine\TEMP\Actes\splitpair.pdf" "C:\Programme\Welp\Pdfcombine\TEMP\Actes\stitch\PAGE.pdf%nbr%a.pdf"
You may run above command line to try again, if you still can't get it work, please send to us your sample PDF file, we will check your PDF file and come back to you asap. Quickly and easily to stitch a PDF file in multiple pages into one page and stitching to sew to save a new document. Merge 4 PDF pages to one page,merge 2 PDF pages to one page. 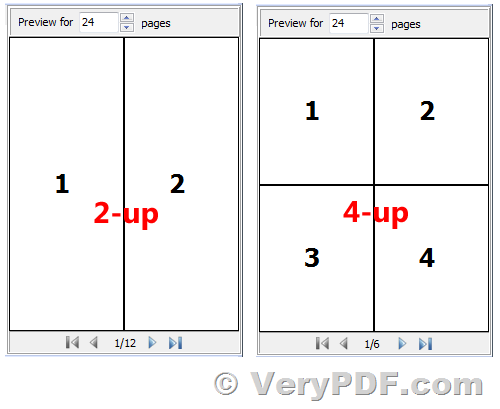 All pages can also be arranged laterally spliced into a page, or all pages vertically arranged together into a page. If you choose to merge all pages to one page, the page size when combined exceed 500cm when merged document may not be displayed correctly, use "PDF page zoom" tool to reduce the paper size. If you want to splice multiple PDF documents into one document, please use the "PDF document merge". 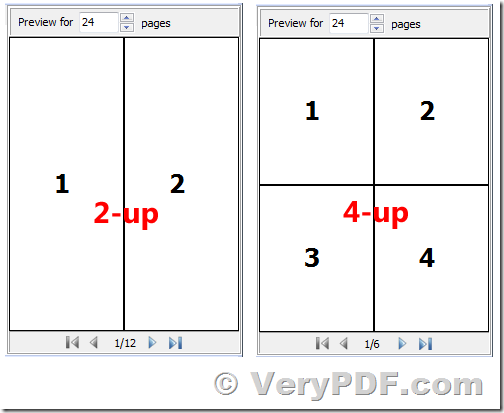 How can I combine two PDF pages showing up on the same page?